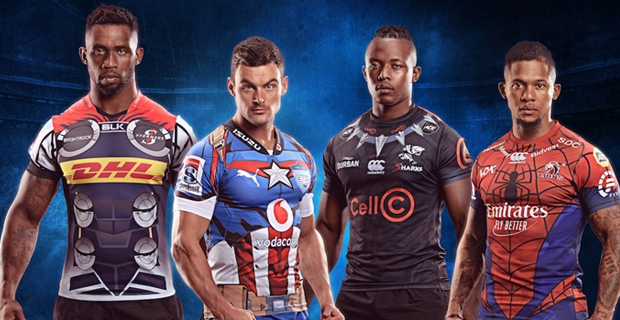 The Sharks have the Black Panther suit, the Lions will have Spiderman’s iconic webbed suit look, the Stormers have a Thor‑inspired shirt and the Bulls will be donning Captain America outfits. Rugby.com.au reports that the first look at the jerseys for the South African public will come on February 3 in Cape Town, when the four sides will play in “Super Hero Sunday” trial matches ahead of the Super Rugby season openers two weeks later. The super hero jerseys will also be worn throughout the year when the South African teams play each other. They’ll wear their traditional jerseys against international opposition. The super hero‑inspired jersey is not entirely new to Super Rugby. The Melbourne Rebels wore a Superman jersey in 2015, and the Queensland Reds donned a Flash‑inspired jersey in the same year.